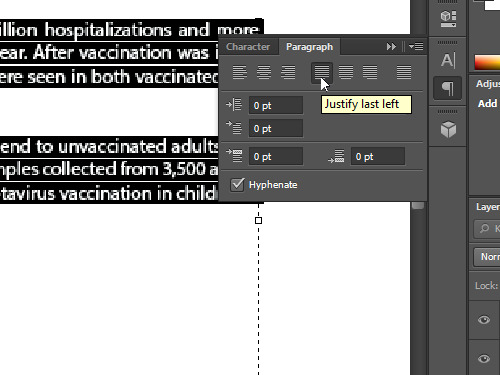 In this video tutorial we will show you how to justify the text in the Adobe Photoshop. In order to justify the text in the Adobe Photoshop you have to launch the program. Go to the “File” menu and choose “New” to create a new document. In the appeared window set the document properties and press “OK”. 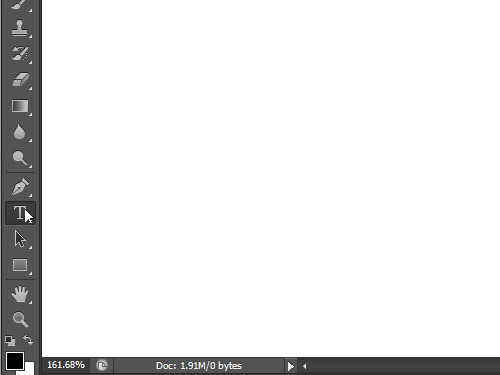 Go to the toolbar of the program, choose the “Zoom Tool” and scale the document area for comfortable viewing. Then choose the “Horizontal Type Tool” and create the text block in the document area while holding the left mouse button and moving the mouse. 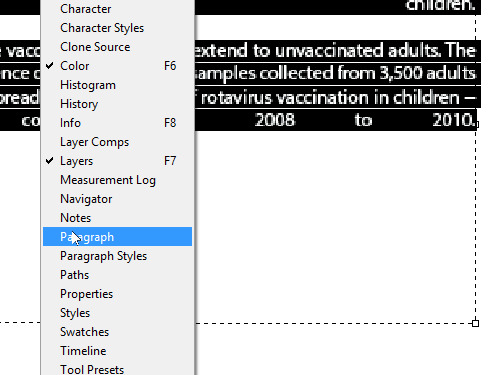 Set the cursor inside the text block and type the text you want to justify or right click and choose “Paste” option from the drop-down menu to insert previously prepared text. Select the text and go to the “Window” menu, choose the “Paragraph” option from the drop-down menu in order to open the “Paragraph” tab. 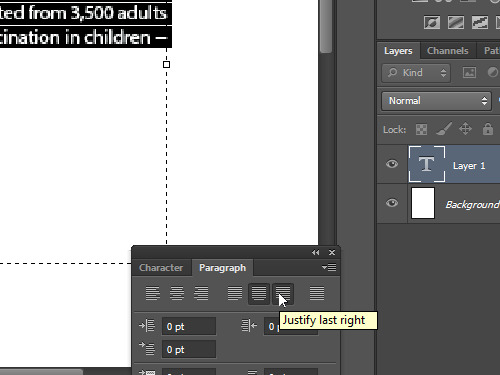 Go onto the appeared tab and press the “Justify last left”, the “Justify last centered”, the “Justify last right” or “Justify All” buttons to justify the text as you need.